Recently, I have begun posting on my new obsession, brain wellness. This post will be one of the most important I will write about this subject. This information could have a major impact on your, and your family’s, health and yet most people know nothing about these facts. Doing the one thing I will suggest in this article may not only help in preventing heart attacks, strokes and many other disease processes, but – for the sake of my particular audience – it can also have a powerful impact on depression, anxiety, bipolar disorder, schizophrenia, autism, OCD, and ADHD. Let me warn you that this article is going to be a little long, and a little complicated. I’m going to do my best to make this as simple as possible (at the risk of grossly oversimplifying) while still providing you with enough science to convince you that this is real and that you need to pay attention to it (at the risk of boring and confusing the crap out of you). Please have patience and do your best to take the time to get through the whole thing. I have spent many, many hours researching this subject, and I am not finished yet. I am continuously learning and will update you as I gain important info. But I felt this was so important that I wanted to get the basics to you now. The only way that we can get many of the essential nutrients we need for our body to work right is from the food we eat. (We must have these nutrients – that’s why they are called essential.) Some of these essential nutrients that we can only get from food are vitamins and minerals. 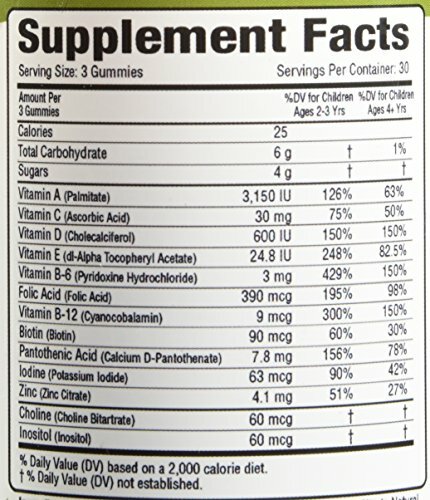 What do vitamins do? Essentially, they help turn the food we eat into chemicals our body can use. This transformation of the food we eat into useful chemicals doesn’t only happen in one step. The body has very complicated processes where one chemical is turned into another, and then another, etc. For example, there is a multiple step process that turns spinach into brain chemicals like serotonin, dopamine, and norepinephrine, which we need for our brains to work right. 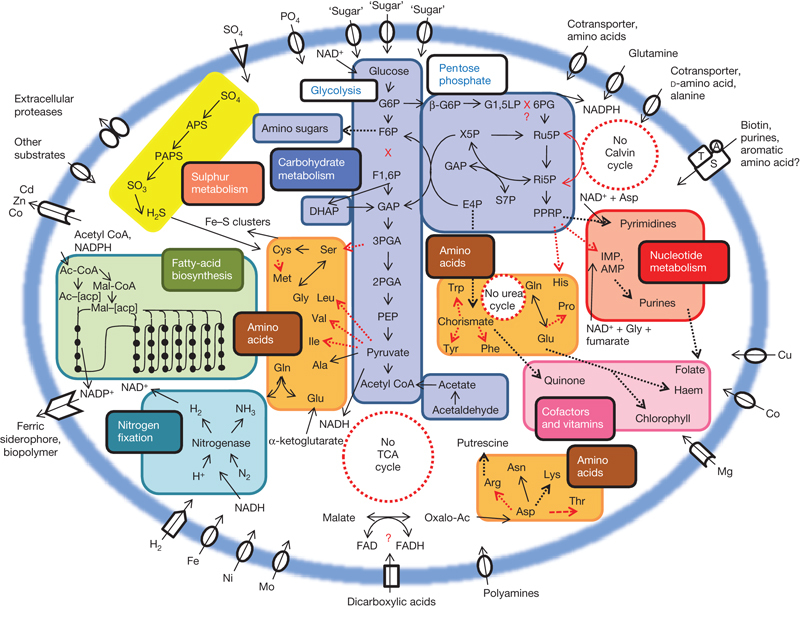 These transformational processes are called “metabolic pathways.” The body has many of them, and you can see how complex it all is by looking at this chart, which illustrates only some of our metabolic processes. These processes are enabled by our genetics. The genes are switches that tell the body to make these chemical changes happen in the body. 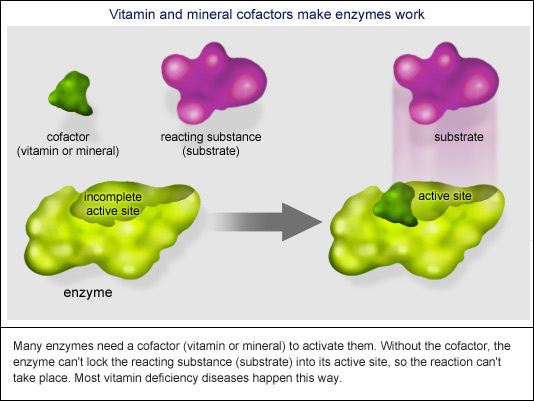 The body uses vitamins and enzymes to make those changes occur. 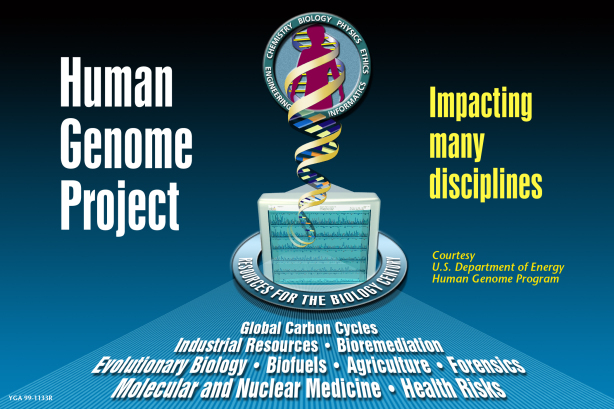 Through the human genome project, we now know the entire human genetic map. The hope in discovering the human genome was that once we understood how our genes worked, we would have a better understanding of the underlying causes of many medical conditions that have remained mysterious up to this time. This is now just beginning to come true. Through this very young science, we are just starting to understand what our genes do, what can go wrong when our genes don’t work right, and what we can do about it when this happens. Now that we are beginning to understand the genetic problems that can lead to certain diseases or conditions, it is possible to treat the causes of a condition, rather than treating the symptoms. This is particularly important as far as mental health is concerned, because at this point we really know very little about the mental conditions we are treating medically, whether it is depression, ADHD, or schizophrenia. Presently, we are using one-size-fits-all medicines when there are many causes for the same apparent symptoms. The limits of our knowledge and ability to treat these conditions becomes obvious when we observe that a medicine may help one person but not another, and we don’t know why. The reason that some of our genes do not work the way they are supposed to is because they are mutations of their normal forms. We call some of these mutations “polymorphisms,” because they are fairly common. If you have these mutations are you doomed? Not necessarily. Genes are not destiny. The expression of genes, that is, what switches them on or off, is impacted by the environment. This science, where we understand how the environment impacts the working of our genes, is called epigenetics. All kinds of factors can impact whether a particular gene works in a particular way, or not. So just because you have a “polymorphism” doesn’t mean you’re screwed. 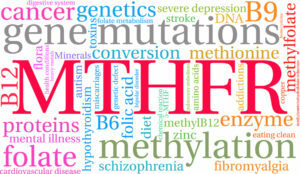 One of the first genetic mutations that was discovered that contributes to many disease processes, including a host of these mental health issues, is the MTHFR mutation. MTHFR is both the name of the gene and an enzyme turned on by that gene, which is part of a metabolic process called methylation. Methylation is a process that happens in the body about a billion times a second. Chemically, it is when the body adds a “methyl group,” one chemical compound, or molecule, to another chemical compound. When this happens the function of that compound changes, and this advances this metabolic pathway, or the complicated, step-by-step process of turning the food we eat into the stuff our body can use to make it work right. One of these methylation processes turns one of those essential nutrients, a particular B vitamin, from one form, folic acid, into another form, methylfolate. Methylfolate is an extremely important compound that the body uses for many purposes. 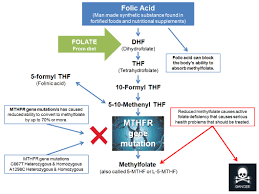 When we have the MTHFR mutation, the body has a much harder time turning folic acid into Methylfolate. This ain’t good. And this mutation is a polymorphism, because about 50% of the population has it. To further complicate this story, more than one gene is involved in this methylation process. The first genetic mutation that was discovered is called the 677 gene. That was discovered in 1995. This is the first genetic mutation to have a treatment approved by the FDA. The next important methylation mutation was discovered in the early 2000s. That one is called the 1298 gene. Since then, many more, less common gene mutations in the methylation pathway have been discovered and we are slowly understanding how all this works and effects the body, but those first two are the most prevalent and important. These chemical compounds have a great deal to do with the creation and regulation of neurotransmitters, that is, the brain chemicals that influence our mental states. That is why these mutations can contribute to many mental health problems. Therefore, it is of vital importance to know if you have these mutations, and if so, what you can do about it. First of all, how do you know if you have any of these mutations? 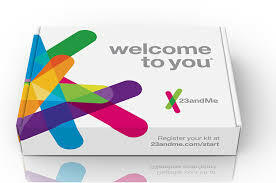 The easiest way to find out is to get genetic testing through the web site 23andme.com. For $99 you can get your genome analyzed. They send you a plastic cup, you spit in it, and send it back to them. When you get the results about four weeks later, you find out about your ancestry, which is fun! It turns out I had one Japanese ancestor in about the year 1780! For an extra $100 23andme includes many health reports. 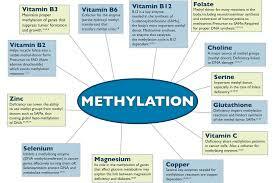 But they do not provide information on the methylation genes that we are talking about here. In order to do this, you (or I, if you want help with this) go to another site called geneticgenie.com, which takes the raw data from 23andme and creates a methylation profile. You can try to understand what this means, or have someone like me explain it to you. Basically, green means that you have no mutation, yellow means the gene functions about 70% as well as it should, and the red means the gene functions at between 10 – 30% as well as it should. You not only get this chart, but the report explains what each of your mutations mean. What should you do if you find out that you have the MTHFR mutation? The answer is fairly simple. Since your body has a hard time making methylfolate, you need to take methylfolate as a supplement. 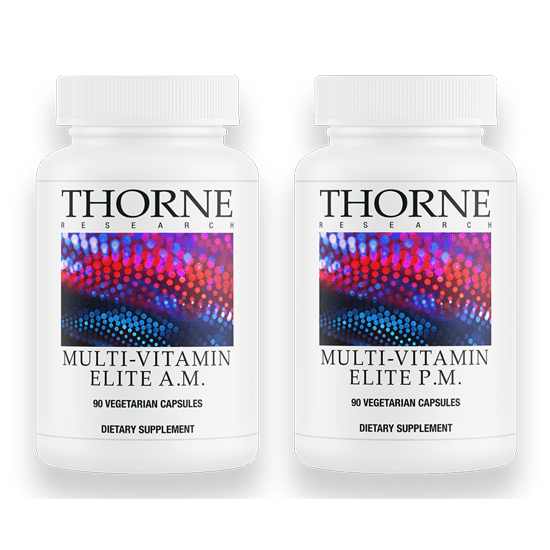 However, the body is a symphony of parts that need to work together in harmony, and depending on your particular methylation profile and other factors, the exact way to take methylfolate, and what you should take with your methylfolate, is more of an individual thing. 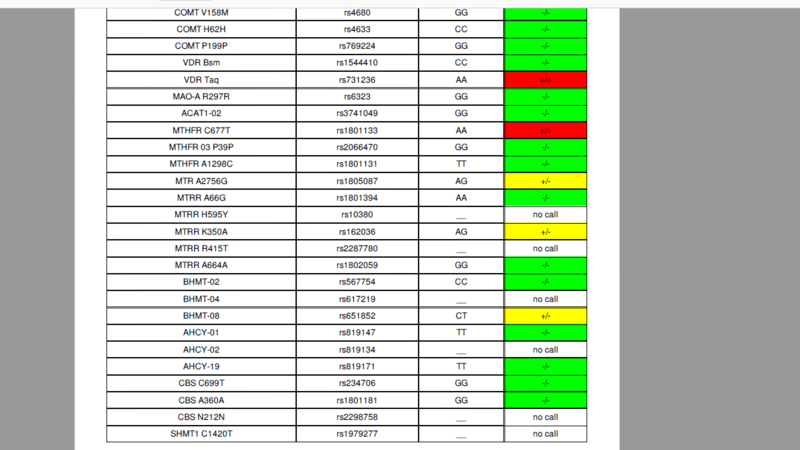 I will provide the overall guidelines for taking methylfolate in another article, because I think this one is about as long as anyone can take, but for a more personal answer, after you do 23andme and get your results, you can do one of three things: you can contact me; dig into your own research on the links I provide here; and/or contact a functional medicine or naturopathic practitioner who has expertise in these methylation mutations. Is there anything else that you should do, even if you don’t take the test or before you get the results? Yes. Since you have a 50/50 chance of having this mutation, you should make sure that you are not taking folic acid either in your vitamins or in your food. You’ll find folic acid in many common multi-vitamins. If you take a multi, look on the label. 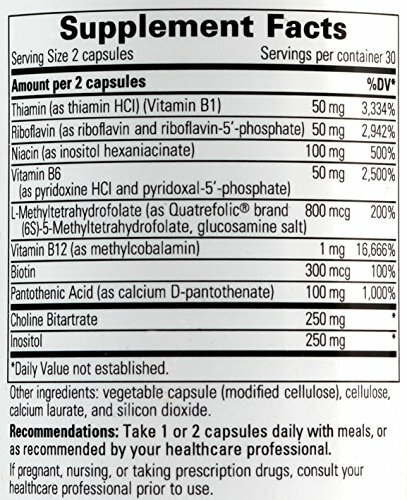 If it has folic acid, you should be taking a different supplement that has methylfolate instead. Here’s one you shouldn’t take. Here’s one that has the good stuff. Here is one great multi that has methylfolate. 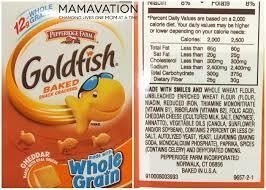 You’ll also find folic acid in many “enriched” foods (mainly things with enriched wheat). Generally speaking, whole wheat products or organic brands are not enriched, but that is not always the case. Look on the labels and avoid enriched foods if you can. The reason you don’t want to be taking folic acid is because if you have the mutation, the body doesn’t process the folic acid in the right way. Then you have all this extra folic acid floating around your body and this makes it even harder for your body to create the methylfolate that it needs. Again, feel free to contact me once you get your results, and if you have ANY questions, thoughts, if you have any experience with methylfolate that you would like to share, please comment here! Here are some videos and links that can help if you want to learn more about this subject.